Another baby quilt finish! 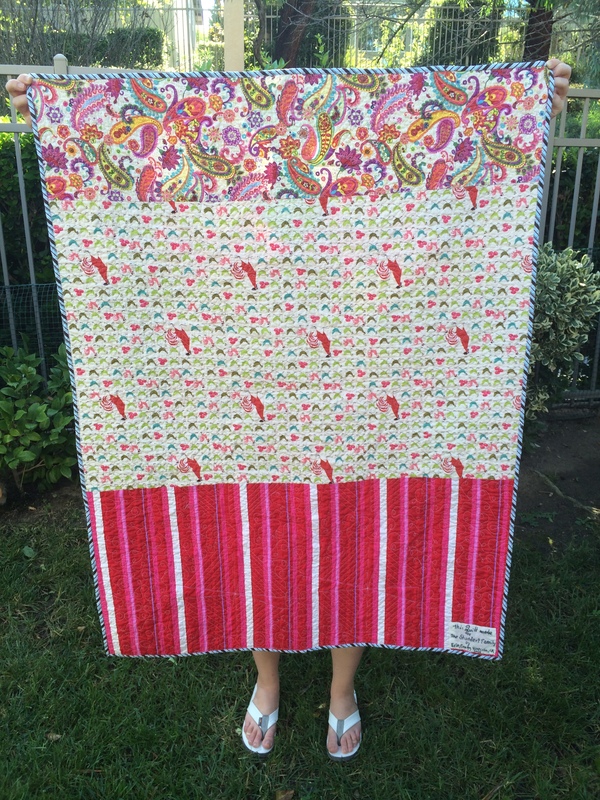 This quilt was created for some friends expecting their first baby. The pattern is called “Baby Bliss” and was featured in the December 2012 issue of Quilter’s World magazine. 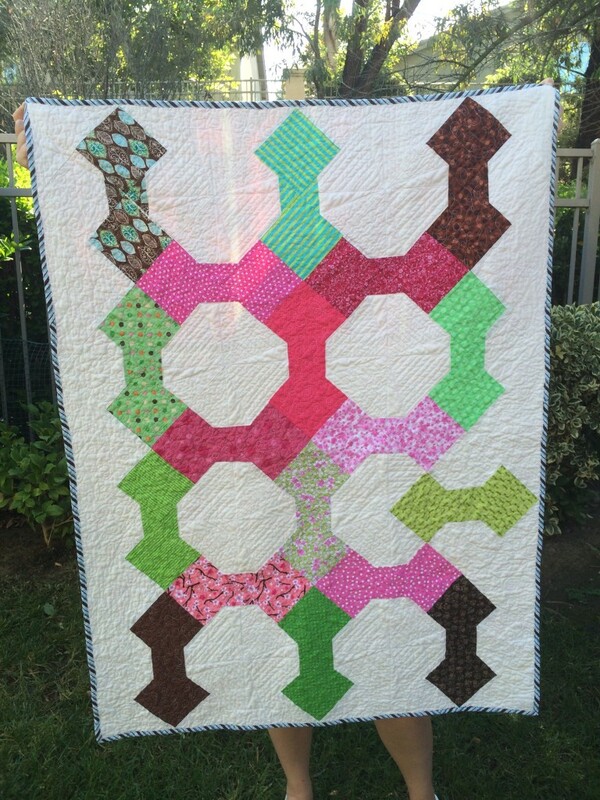 I used Kona Snow for the white fabric and various pinks, greens and browns from my stash for the bowtie blocks. I also used some fabrics from my stash for the binding and the backing fabrics. It finished at 47.5″x36″. 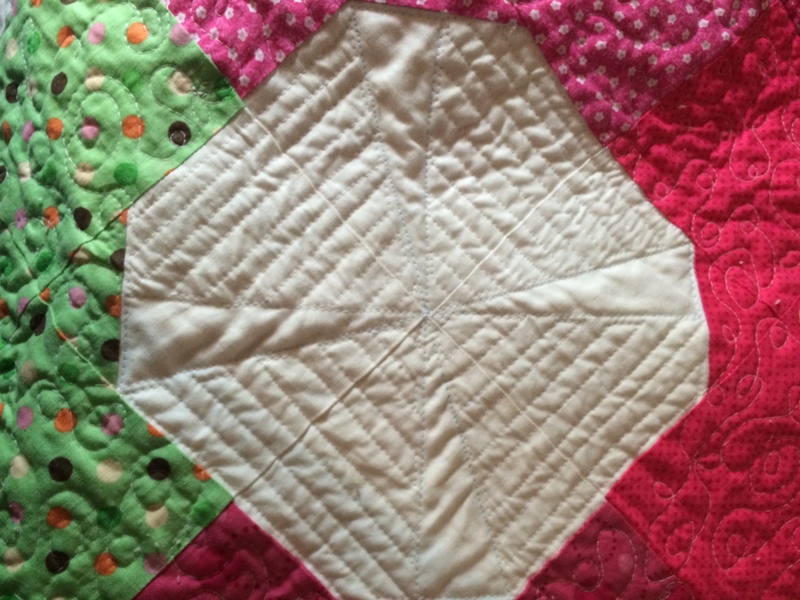 I quilted a kind of pinwheel pattern I made up in the areas between the bowties. On the bowties and the borders I did FMQ loop-de-loops. I was also able to deliver the quilt in person to the new mom and dad, they loved it! Thanks for reading!